HONOLULU (HawaiiNewsNow) - Four people are attempting to swim the Kaiwi channel this week from Molokai to Oahu. The first two, Bruce Gordon and Michelle Macy started late Sunday night. Gordon unfortunately did not finish the swim, however Michelle Macy did finish Monday afternoon. Gordon was using a shark shield, Michelle decided to do the 26 miles swim without one. Macy who is from Oregon has swam many channels around the world. Her most recent, the Strait of Gibralter. Macy is a cold water swimmer and says our waters are very hot. 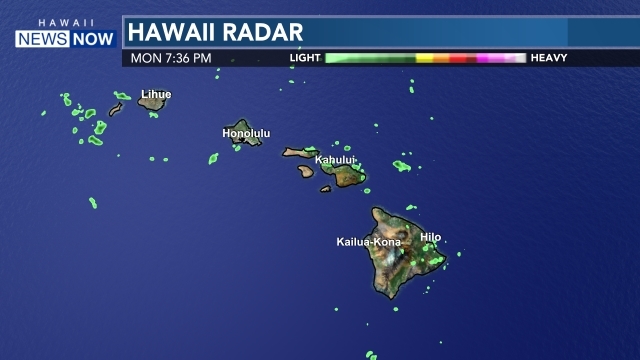 She left Molokai around 10 p.m. Sunday. Three others will also attempt the kaiwi swim this week. Stephen Redmond who travelled from Ireland will make the attempt Monday or Tuesday. A woman from Sweden is also scheduled to swim ton Tuesday, all swims take around 12+ hours. Darren Miller from Pennsylvania swam the channel on in a record time of 12 hours and 12 minutes. Molokai is considered one of the hardest channels in the world to swim across.